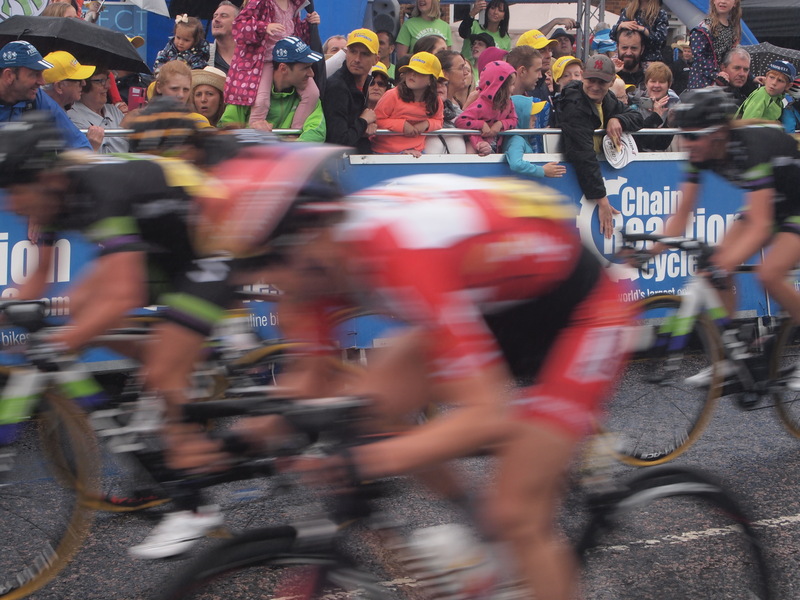 Here in the UK we are lucky enough to have one of the top-ranking women’s road races. 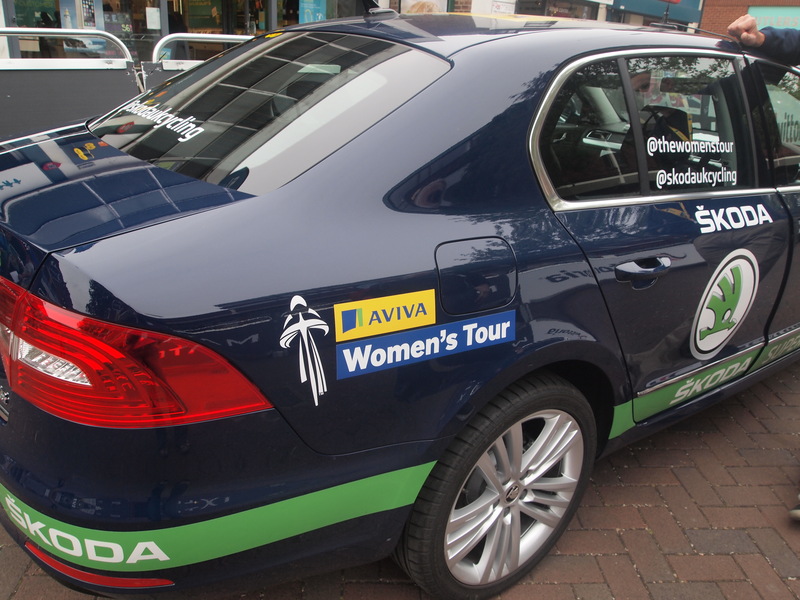 Rated as a UCI 2.1, The Women’s Tour takes place over five days and features a total of just under 600km of riding. Twelve of the thirteen top-ranking women’s teams in the world took to the start line, bringing with them no less than 11 national champions. In a sadly rare example of equality in cycling, this year’s edition is extra attractive because the prize money is equal to the fund available for the men’s Tour of Britain. 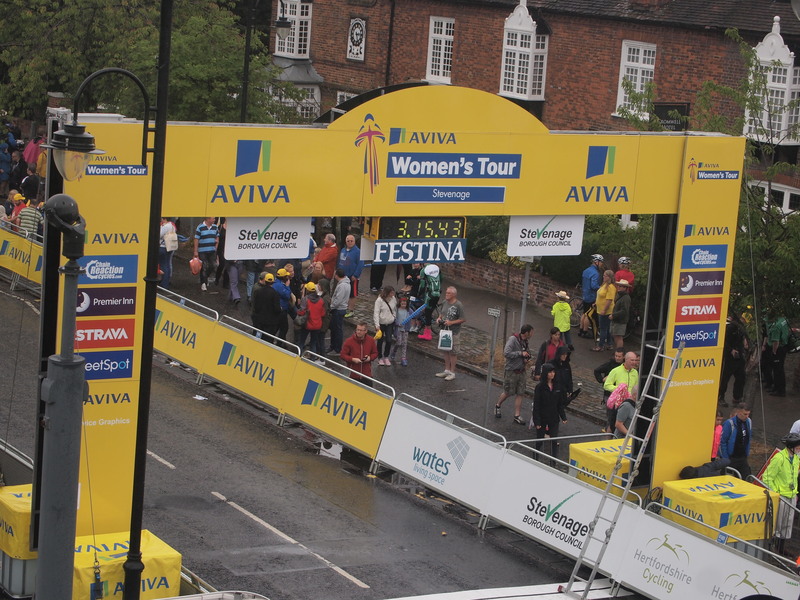 With thousands of spectators lining the roads at each stage and an hour-long highlights show on ITV4, The Women’s Tour is an excellent showcase for women’s road racing. 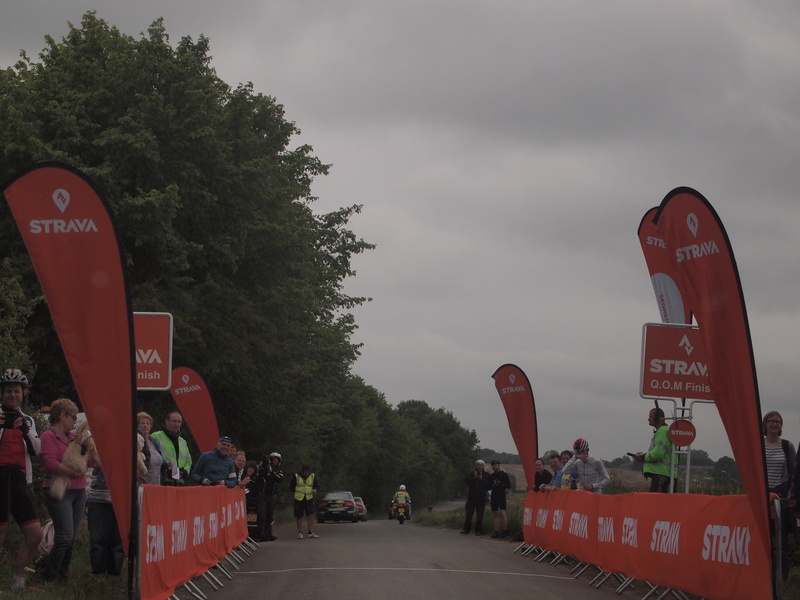 Last year I managed to enjoy the electric atmosphere of the exciting sprint finish of stage 4 of the inaugural tour in Welwyn Garden-City so this year we were eager to catch a bit of the action in Waltham Cross. 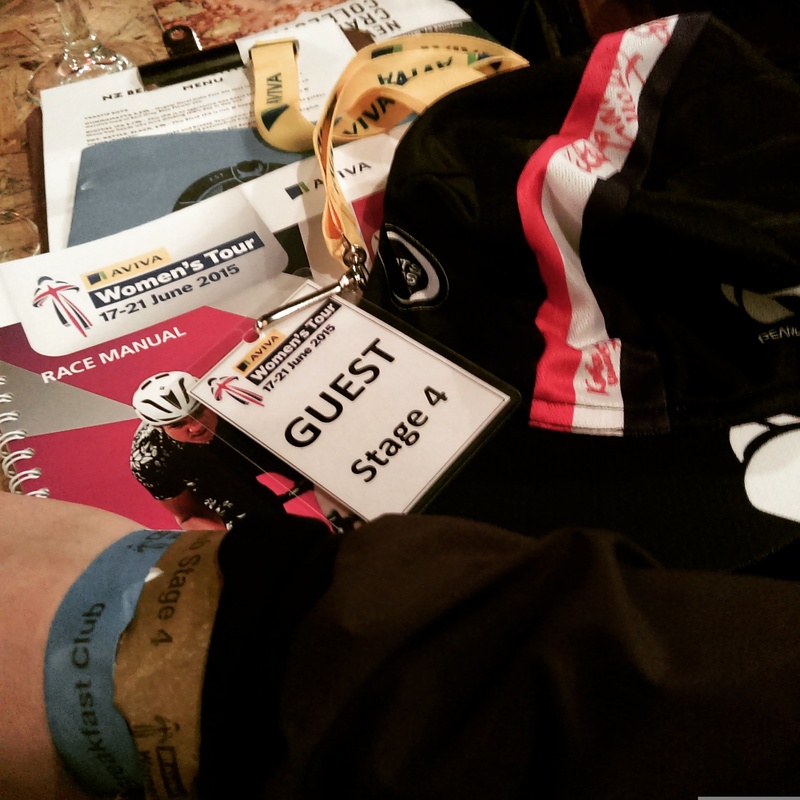 Thanks to my employers the Ordnance Survey and their support as the official mapping partner, I was fortunate enough to get on the guest list for hospitality and a ride-along in the convoy. As you know, I’d always rather be riding on my bike than in a car but there was no way I’d be able to keep up with these girls, averaging around 40kph over each stage. The day started in Waltham Cross High Street. Super-excited we turned up far too early to get into the hospitality area and wandered by chance into the car park where the teams were preparing to race. Being a huge fan, I was far too star-struck to actually speak to any of the girls but it was pretty surreal to be standing just feet away from the greatest female cyclist of our time, Marianne Vos as she chats to Wiggle Honda staff. 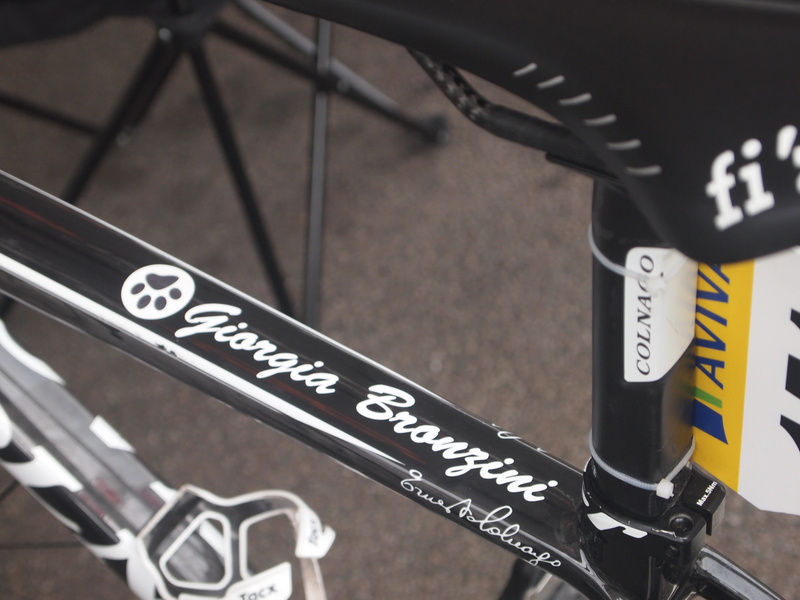 I wandered round in absolute awe of the level of talent just casually hanging around; Giorgia Bronzini, Elisa Longo-Borghini, Lucy Garner, Laura Trott, I could go on. Oh and don’t get me started on the bikes. 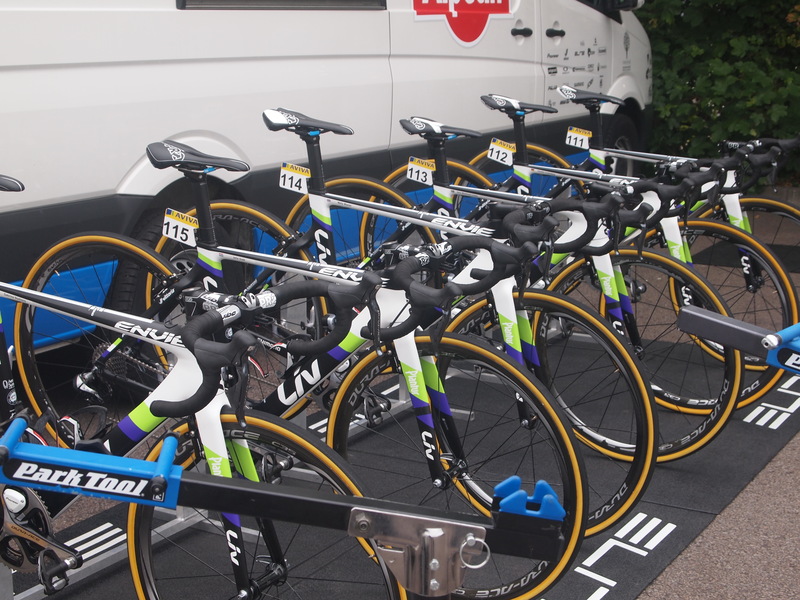 I was so busy gazing at the beautiful bikes I could have almost bumped into poor Alan Sheldon, a lovely chap I’d met a couple of weeks before at Canary Wharf who was on the staff for Pearl Izumi Sports Tours International at the Tour. Being a huge fan of Katie Archibald, I was glad I’d brought my Pearl Izumi team cap because Alan very kindly got it signed by the whole team just before I had to run back to the start line to meet my driver, Stuart Hourigan. 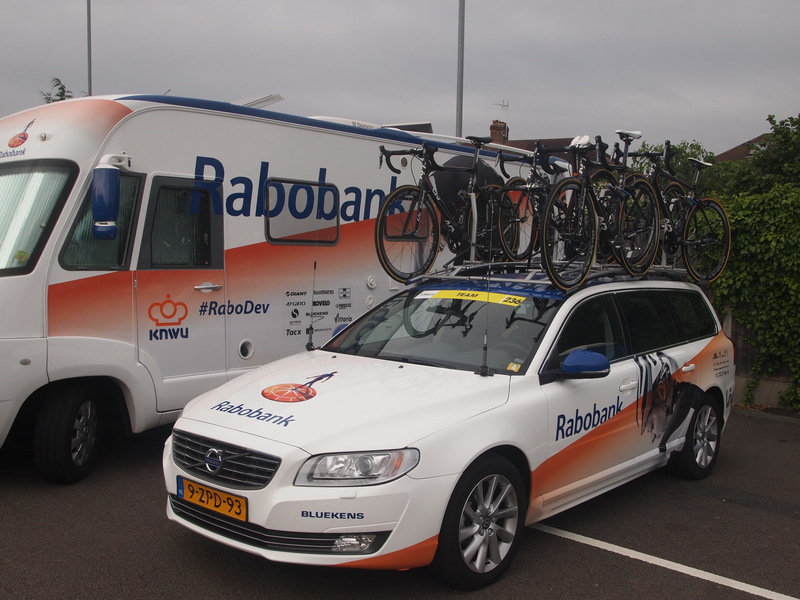 As we got settled into our Skoda we were given a copy of the Race Manual, the source of all information from detailed routes to where each team is staying each night to diagrams and guidance for each and every piece of signage associated with the tour. Accompanying us there was over 60 police motorbikes as well as a whole host of other vehicles and as we set off ahead of the peloton, it was almost hypnotic to watch the chaotic yet beautifully choreographed rolling-roadblock in action, each motorcycle briefly taking a position at any side-street or junction where traffic might emerge, swiftly moving on once another had taken their place. Stuart explained to us that we would remain ahead of the peloton until a significant breakaway occurred, at which point we might be able to slot the car in behind. We kept track of the race over the race radio comms listening out for any opportunity for our car to drop back and catch some action. The first three stages had seen some exciting breaks and Stuart remarked that this was becoming more common for women’s racing as the sport became more mature and strategies more developed. Unfortunately there was no significant break in stage four; Sabrina Stultiens and Elisa Longo Borghini staged a heroic getaway in the twists and turns of the final quarter but were swallowed up within the last couple of KMs. We agreed with Stuart that the break wasn’t to be early enough to leave the race far behind and zoom into Stevenage in time to catch the finish. Having experienced the course, albeit from the comfort of a car, I could appreciate how tough the rain-slicked, twisty, pot-holed roads would have been. I could only cheer my loudest and hammer on the boards as the girls sprinted to the finish line.